We stopped using time outs in our household about three years ago when we discovered Janet Lansbury’s wonderful blog and began to follow Magda Gerber’s RIE parenting philosophies. Prior to that time, we followed popular advice to enforce a short time out (1 minute per every year of age) to try to steer our spirited and strong-willed child towards more suitable and compliant behaviour. Although we were only making her sit in the corner of the room we were also sitting in, we soon realised we may as well have been throwing her outside, in the cold and leaving her to go hungry. She became more and more agitated and angry over time and there grew a tangible distance between us that was hard to describe. Her behaviours did not change and her will grew even more determined to object and defy at every opportunity. Time outs, it seemed, were not the answer. Once we vowed to ditch them, we were able to start listening to our daughter. We became more in-tune with her needs and her emotions. We had the opportunity to guide her and show her what it meant to have true empathy. We made it clear that we would be there for her and that our love for her would remain solid even when her behaviour was testing. Time outs are a modern day parent’s most popular tool. They are well-supported by many parenting groups as being an effective and kind form of discipline as well as a gentler alternative to spanking or hitting. Time out advocates such as British ‘Super Nanny’, Jo Frost recommends the use of time outs to control unruly behaviour and give the opportunity for children to have some time to reflect and make better decisions in the future. But as you’re about to find out in the following 8 articles, time outs are no more effective as they are kind. Behaviours may change in the short term but the long term disconnect and discontentment which can be created ensure that time outs are not a tool parents should be blindly practising without being made fully aware of their impact. Dr Laura Markham of Aha Parenting lists 5 important reasons why we should be steering away from time outs. Dr Peter Haiman writes an informative piece on The Natural Child Project. He looks at reasons behind a child’s behaviours, the long term impacts of using isolating techniques to change these behaviours and offers alternatives to using time outs. Dr Daniel J Siegel and Dr Tina Payne Bryson have recently teamed up and published a book No Drama Discipline which uses scientific studies from brain research to identify the harm caused by traditional, authoritarian discipline methods and what we should be using instead to guide our children. Their article published in Time Magazine is a real must-read as it offers a sound basis for steering away from even gentle uses of time outs. 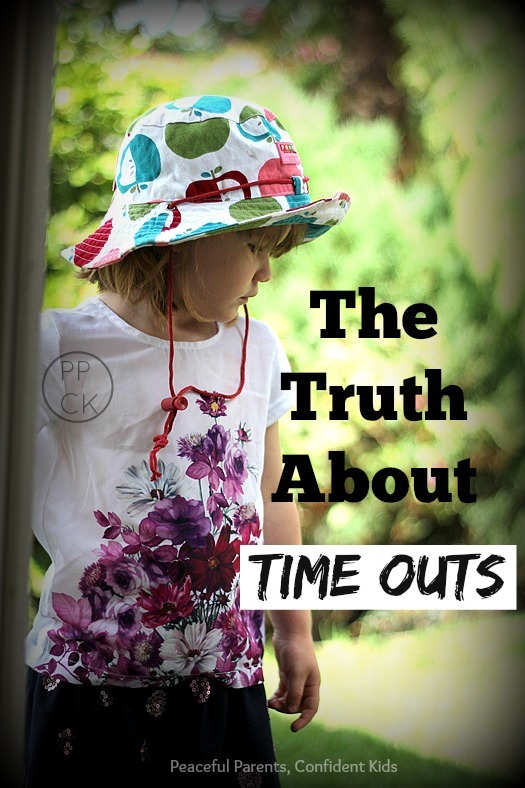 Jennifer Anderson of Our Muddy Boots discusses her rationale for not using time outs for her children and considers the much overlooked issue of using ‘Time in’ to punish rather than to connect as intended. 5. Time Out vs Time in: What’s The Difference? Ariadne Brill investigates time outs and identifies common signs this traditional discipline technique may not be working for your child. She then discusses why time ins are infinitely more effective and provides real life scenarios for utilising this technique. Ariadne Brill from Positive Parenting Connection has some wonderfully practical advice for what to do instead of time outs. Meghan Leahy writes for the Washington Post. 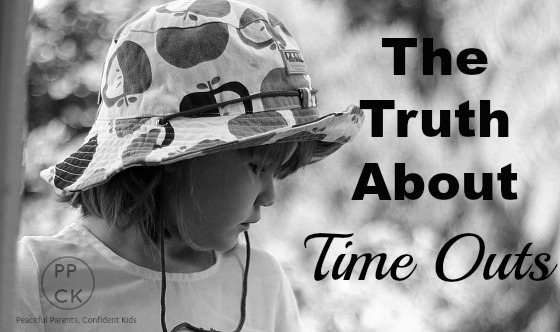 In this article, a parent at their wits end asks a real-life question about the way she uses time outs with her 4 year old son. Meghan gently guides the parent through the pitfalls of using time outs and other punitive methods of dealing with behaviour and steers her towards more connective parenting approaches for helping her son manage his behaviour. 8. Do Time Outs Make Children Behave Better? Pat Tomgren from Parenting With Love presents strong arguments for finding alternative ways to discipline children. She explains what children need from their parents and ways to work through heated moments with children without using the withdrawal of love or attention. She also offers some useful advice for parents who need to take their own ‘time out’ break!! Each of these articles provides compelling reasons for putting time outs into a time out of their own and some alternative approaches which will not only be more effective in the long run, but will ensure that the relationship between parent and child remains strong, open and honest. We now enjoy a beautiful, loving relationship with our daughter. She still has strong-will and a determination that rivals that of Steve Jobs when he insisted he could make a computer that could fit in our pockets at a time when computer took up half a room. I can’t begin to imagine where we would be sitting right now if we didn’t learn a different way. If those few precious minutes, when we initially told her to go and sit by herself when she was clearly crying out for better guidance, had begun to add up to hours, over the course of the years, I wonder what type of relationship we would now have? This entry was posted in Peaceful Discipline and tagged Respectful Parenting, RIE, Time outs on March 24, 2015 by peacefulparentsconfidentkids. Check out the Time Out articles from Dan Gartrell at the NAEYC. Excellent collection! Thank you for including a link to Dr. Haiman’s article on our website.